Home / Student Questions / What Does Freedom Mean to Me Essay Ideas? Human constructs such as trust and freedom are nebulous concepts so a good way for many students to write these types of essays is to define the concept in general terms and then describe what this means to them by providing some relevant examples. For instance, a “what does freedom mean to me essay” can draw on personal experiences or the experiences of other to illustrate points of view such as civil liberties contained in the Bill of Right such as the freedom of speech and assembly and personal incidents where individuals exercised these types of freedom. Likewise, examples of freedom include the ability to receive basic educational services and the opportunity to pursue higher education or training in a preferred field or the ability to simply relocate residence whenever one pleases. Conversely, a “what does freedom mean to me essay” can use examples of how many people are denied the same level of freedom most Western nations enjoy, including most especially the denial of basic human rights (particularly for women and children) or the how the enormous array of adverse effects related to poverty diminish people’s freedom from want. The United Nations’ Universal Declaration of Human Rights enumerates several basic freedoms that apply to everyone, including life, liberty and personal security, the freedom from being enslaved, as well as the freedom from arbitrary arrest, detention or exile. Any or all of these universal freedoms could easily form the basis for an excellent “what does freedom mean to me?” essay. Finally, while it may be tempting for some students to inadvertently wander into flowery-speech descriptions of just how great it is to be free (because it is), a good “what does freedom mean to me essay” should use real-world examples and otherwise strictly follow the assignment guidelines and formatting instructions. "What Does Freedom Mean to Me Essay Ideas?." Aceyourpaper.com. Student Network Resources Inc, 18 September. 2017. Web. 18 April 2019. Student Network Resources Inc. "What Does Freedom Mean to Me Essay Ideas?." Aceyourpaper.com. 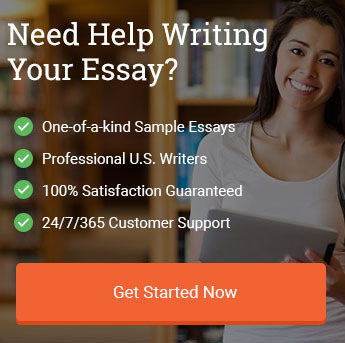 https://www.aceyourpaper.com/student-questions/what-does-freedom-mean-to-me-essay-ideas/ (accessed April 18, 2019).